Last night (December 16) things got festive — and really loud — at The Late Show with Stephen Colbert. 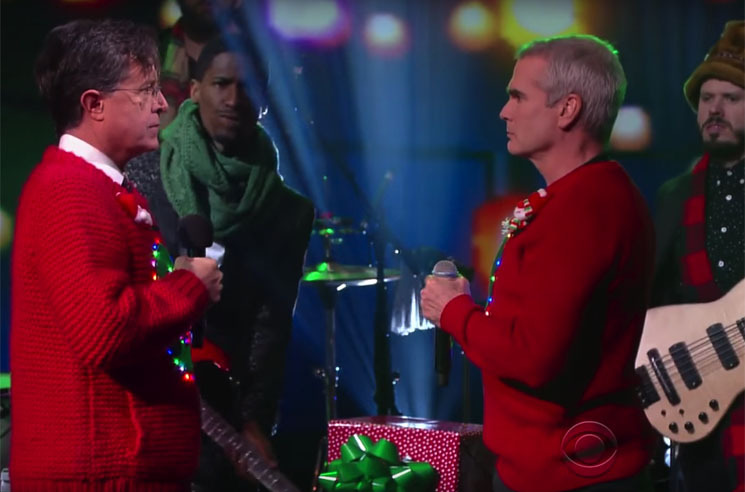 Henry Rollins rolled through to deliver some punk rock Christmas cheer to the television audience with a rendition of "Carol of the Bells." Colbert kicked off the classic Christmas song with an angelic interpretation, but before long Rollins crashed in with his own much grislier rendition of the holiday tune. Watch the pair don ridiculous Christmas sweaters and power through the segment, dubbed A Very Rollins Christmas, in the player below. If you'd like to get in on the festive spirit yourself, be sure to check out our list of Ridiculous Ugly Christmas Sweaters for Every Music Fan.